The subject for the Cheshire Local History Association History Day on Saturday 3 November 2018, was Historic Crime and Punishment in Cheshire. 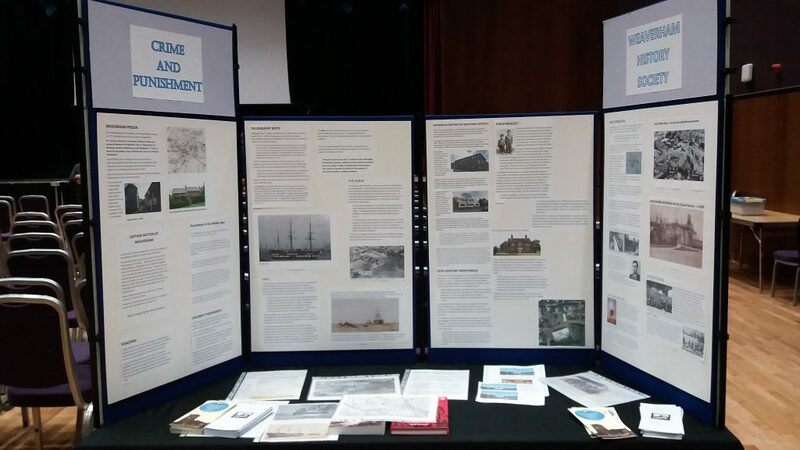 Once again we prepared a highly praised display on this theme, with illustrations on common punishments such as the crank, shot drill and picking oakum; Knutsford Goal; the use of training ships on the River Mersey for delinquent boys and the Industrial Schools that were established in the area for girls and boys. After a very successful day in November, our display will be available for you to see in both Knutsford and Wilmslow public libraries during May 2019.